Buying a product backed by a strong warranty is very important for every single one of us. Many companies are using their warranty as a marketing tool, going out of their way to offer 20-50 years warranties on paper. But when it comes time to deliver, the customer is always at fault and the warranty is almost always ignored. We, at Flooring Innovations like to put our money where our mouth is. In order to ensure your piece of mind, we are offering a three year labor warranty along with our “money in the bank” 90 days warranty. The way this works is pretty simple. We know that most of the problems with a floor are being detected by the customer in the first couple of weeks. 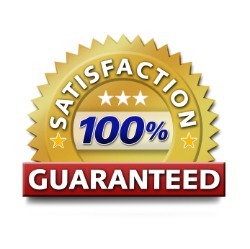 As a proof of our reliability, once the project is completed, we will let you keep 10% of our labor mark-up for three more months, in the event that any problems might occur. Once the three months have passed, if you are completely satisfied with the quality of our work, we will ask for the remaining of the balance. As far as we know, there is no other company on the market at this point to offer a warranty such as ours. There's more to floors than you think. Great wood floors are the result of quality materials, thoughtful design, and precise and careful installation. Be sure to choose a vendor who understands the details of wood flooring.